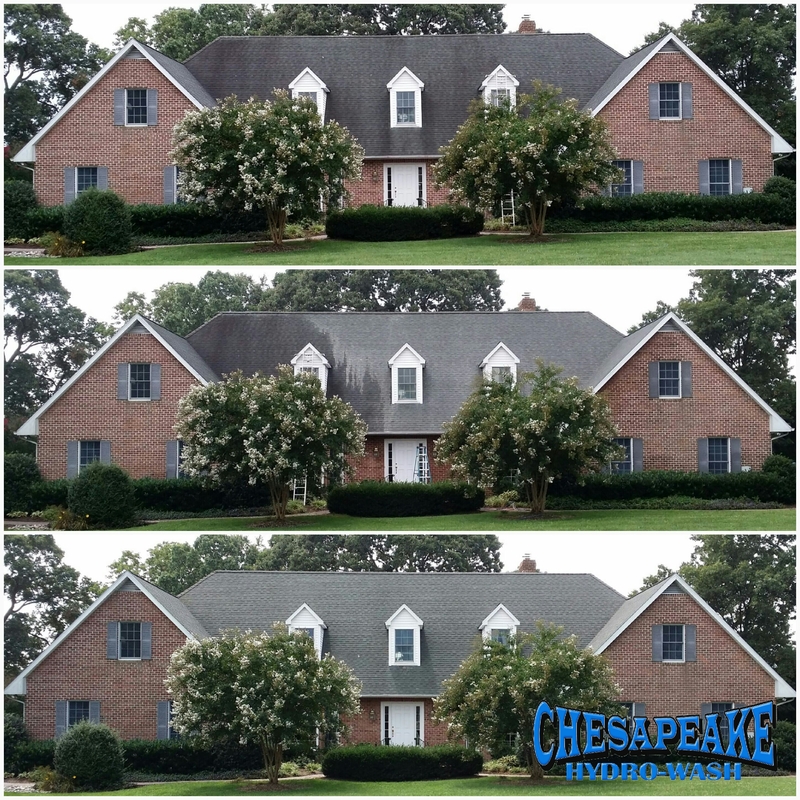 Have you noticed the black roof stains on your Maryland home? Are you considering replacing your shingled roof because of these stains? We have the affordable solution. Our non pressure roof cleaning process removes dark roof streaks safely and effectively using just an algaecide solution. This is far different from pressure washing. Our Non Pressure cleaning process utilizes algaecides and surfactants applied at just 60psi. This is roughly the same pressure that comes out of your garden hose, which makes this Soft-Wash cleaning process as gentle as hosing off your car or watering the plants in your flower bed. Our Non Pressure Roof Cleaning is so effective on Maryland homes that we back every Maryland Roof Cleaning with a 5 year Streak Free Warranty. Let’s restore your home’s original curb appeal. Give us a call and learn why we were voted Maryland’s top Roof Cleaning company. 410-479-9744.